Heat oil in a frypan over medium-low heat. Add garlic and cook, stirring, for 30 seconds until garlic turns brown. 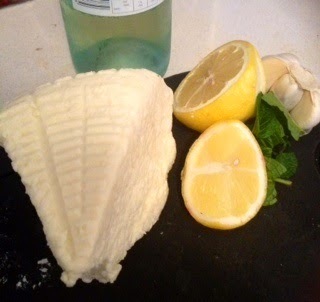 Add the wine, ricotta, cream, mint, parmesan, lemon zest and juice. Seasons and cook for 2 minutes or until warmed through. Meanwhile, cook pasta in a pan of boiling salted water for 2 minuted or until al dente. Drain well, then placed a folded lasagne sheet on each plate. Divide half the mixture among pasta, then top with a second folded sheet and remaining mixture. 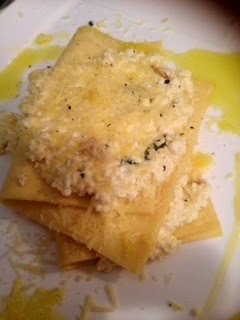 Drizzle with a little oil and scatter over extra lemon zest and parmesan to serve. I have returned! Lets Cook! .....Sono Tornato! lascia cuoco!